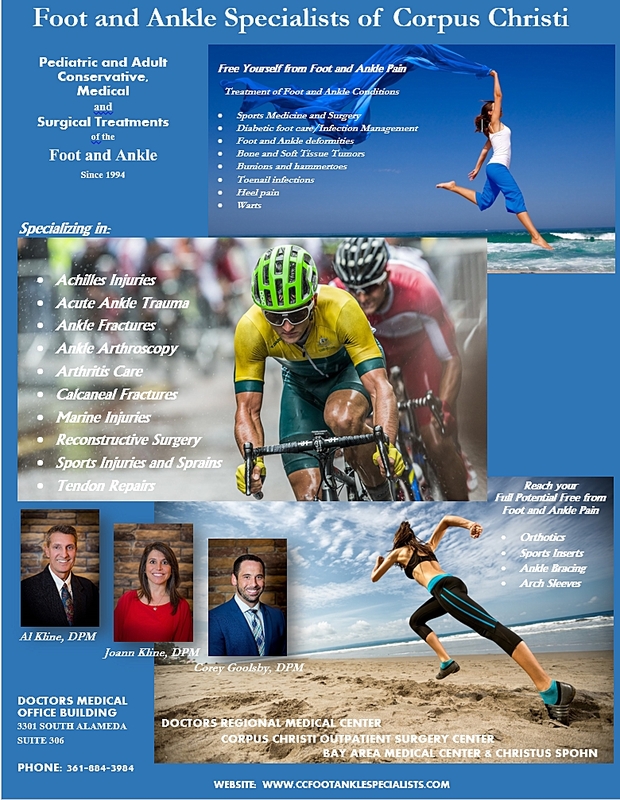 Foot and Ankle Specialists of Corpus Christi is pleased to announce a new office service to the Corpus Christi area. It’s called Anesthesia On The Go. Founded by Dr. Gary Barnett, MD, a Board Certified Anesthesiologist, Anesthesia On The Go now services in-0ffice anesthesia for minor foot surgery in the office setting. Lower cost. In-office procedures with anesthesia provides the same benefits as out-patient surgery and hospital based surgeries with much less cost to you and your insurance company. Convenience. In-office procedures also will save you the time and does not require lengthy pre-operative registration and visits to a different facility. Everything is done right in the office from start to finish! Privacy and Cleanliness. Our in-office procedures are performed in a special treatment room specifically designated for in-office procedures. Our office provides a sterile processing autoclave and specific sterile instrument sets for your surgery. Counseling and Recovery. The pre-operative planning is similar to hospital and surgery center based protocols. The recovery process is done in a private room setting under the watchful eye of the surgeon and anesthesiologist until you are ready to leave. Feel free to call our office for more information on this exciting service!